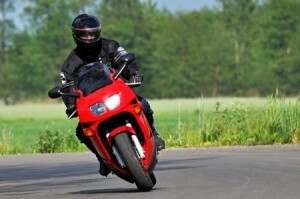 A common headline in Las Vegas involves a motorist, who is unaware of an approaching motorcycle, pulling out into the motorcycle’s path, causing an accident. This scenario recently unfolded when a 21-year-old man was killed after a truck turned into the motorcyclist’s path while he was heading north on Rampart Boulevard. KLAS-TV 8 News Now reported that the motorcyclist struck the truck and sustained multiple blunt force injuries as a result of the collision. He was pronounced dead at the scene of the accident. A new study by a Texas Tech University psychologist indicates that the prevalence of these motorcycle accidents across the nation may not be related to poor driving, inexperienced driving or carelessness. Instead, it may be linked to an error in basic human judgment. The Human Factors Psychology Program at Texas Tech University created and implemented the study, which appears in Current Directions in Psychological Science, in hopes of understanding the brain’s understanding of size and distance. Using computer simulations, researchers had study participants choose which of two approaching objects would reach them first, one large, distant object, or a small, close object. If participants chose the smaller object, it indicates that their brains relied solely on cues they received from special areas of the eyes that accurately measure distance. If they chose the large object, it indicates that their brains relied on multiple information sources to make perception decisions. Researchers were surprised to see that participants repeatedly stated that the large, distant object would reach them first. Researchers believe that this shows that an object’s size affects individuals’ distance perception. This size-arrival effect can have devastating consequences for motorcyclists. It can cause motorists to incorrectly judge the distance that comparatively small motorcycles must travel before reaching their location and the speed at which they are approaching. This can then lead motorists to pull out into an intersection and cause a potentially deadly car crash. According to the National Highway Traffic Safety Administration, 2,624 motorcyclists were killed in collisions with motor vehicles in 2012. Of these, 1,917 were the result of front collisions, which are usually indicative of a motor vehicle pulling out into the path of an oncoming motorcycle. Researchers believe that with education, drivers can learn the necessary skills to keep these accidents from occurring in the future. However, those who have already been injured in a car accident should seek help from a reputable personal injury attorney as soon as possible. They can help injured parties recover damages so that they can complete the healing process and regain their lives.